Film-Arcade.net: Official Trailer for the Upcoming Indie Drama "Mommy's Box"
Official Trailer for the Upcoming Indie Drama "Mommy's Box"
Indie Rights recently send us information and the trailer for their upcoming drama "Mommy's Box". The film stars Johnny Greenlaw , Bill Sorvino, Carly Brooke and Joe D'Onofrio. "Mommy's Box" plays at the Arena Cinema in Hollywood, CA and on VOD September 30th. 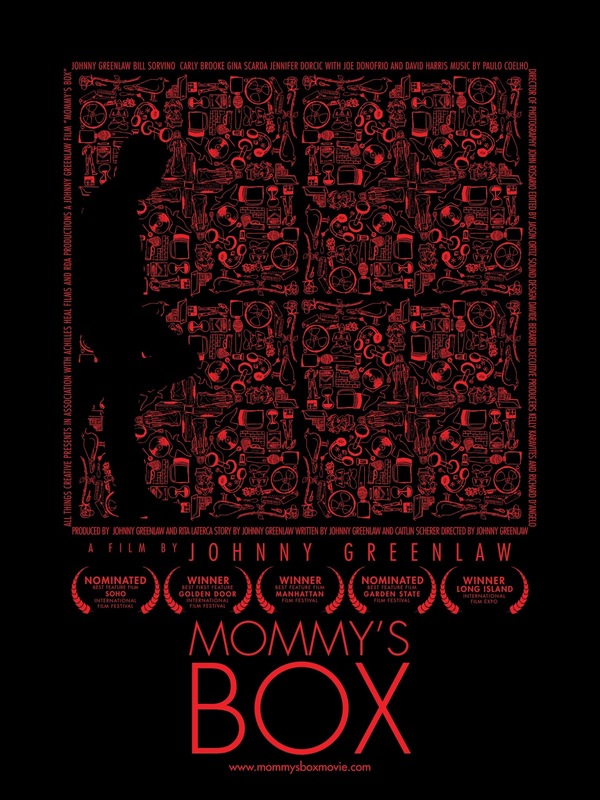 “One of the most anticipated movies of the season” (The LA Times), Mommy’s Box releases in theaters and digital September 30 from Indie Rights. Nick, a music producer in New York City, is dealing with his own demons and chemical dependency as he gets the news of his mentally unstable mothers death. He returns home to Long Island for the wake, where family secrets are revealed, forcing him to confront the lingering influence of his mother even after her death. Back home, Nick finds a new love and a sense of spirituality he never believed in. By retracing his Mothers steps to learn more about her, he starts to find himself. This leads him on a journey he never expected and ultimately onto the path to redemption. “Walk away uplifted”** from Mommy’s Box from writer-director Johnny Greenlaw and Indie Rights this September.